The US government announced today that Sgt. Bowe Bergdahl, who was held by the Taliban since 2009, has been released. Bergdahl was exchanged for the top five Taliban commanders held at Guantanamo. The Taliban detainees are reportedly being transferred to Qatar, which helped broker the deal. The Taliban has long sought freedom for the “Gitmo Five,” all of whom are experienced jihadists and helped run the Taliban’s operations in pre-9/11 Afghanistan. They served in various military and intelligence roles. All five of the detainees were deemed “high” risks to the US and its allies by Joint Task Force Guantanamo (JTF-GTMO). Two of the five, according to files prepared at Guantanamo, have been wanted by the UN for war crimes. One of them served as a key intermediary between the Iranian regime and the Taliban after 9/11. During meetings between these two former foes, the Iranians pledged to assist the Taliban in its war against the US. The Obama administration has long sought to coax the Taliban into meaningful peace talks, which have thus far been fruitless. 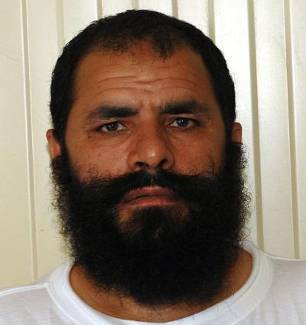 The Taliban has demanded that the “Gitmo Five” be released before those talks move forward. A key goal of those talks is to get the Taliban to renounce al Qaeda, something Mullah Omar’s group has declined to do. It is difficult to see how the prisoner swap helps to achieve that goal. All five of the now ex-Gitmo detainees were closely allied with al Qaeda prior to their detention. And Bergdahl was initially captured by members of the Haqqani Network, which remains one of al Qaeda’s strongest allies to this day. The Long War Journal has published extensive profiles of the five former Guantanamo detainees previously. See LWJ reports: Iran and the Taliban, allies against America; Afghan peace council reportedly seeks talks with Taliban commanders held at Gitmo; DC district court denies former Taliban governor’s habeas petition; Taliban seek freedom for dangerous Guantanamo detainees; and Afghan Taliban announces new ‘political office’ in Qatar. The profiles below, which are based on declassified and leaked documents, are culled from these previous accounts. When the JTF-GTMO threat assessment for Noori was authored in February 2008, his brother was still active in the fight against the Coalition. Noori’s “brother is a Taliban commander directing operations against US and Coalition forces in Zabul Province.” Noori himself “remained a significant figure to Taliban supporters” even after his capture. 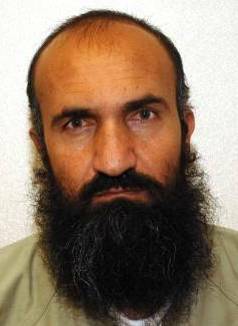 Declassified memos authored at Guantanamo provide more details about Noori’s al Qaeda ties. Noori “fought alongside al Qaeda as a Taliban military general, against the Northern Alliance” in September 1995. Noori also “hosted al Qaeda commanders” and “met a subordinate of Osama bin Laden to pass a message from the Taliban supreme leader” – that is, a message from Mullah Omar. Fazl had “operational associations with significant al Qaeda and other extremist personnel,” according to JTF-GTMO. One of the high-ranking al Qaeda commanders Fazl long cooperated with was Abdel Hadi al Iraqi, who led Osama bin Laden’s Arab 055 Brigade in the Taliban’s Afghanistan. The 055 Brigade was bin Laden’s chief fighting force and served alongside Taliban units. Prior to the Sept. 11, 2001 terrorist attacks, Nabi worked for the Taliban’s border security and in this capacity had “access to senior Taliban commander and leader of the Haqqani Network, Jalaluddin Haqqani.” Haqqani was the Taliban Minister of Frontiers and Borders at the time and this is what gave Nabi the opportunity to become Haqqani’s “close associate,” according to JTF-GTMO. One “sensitive contact” told authorities that Nabi was one of “three former Taliban commanders loyal to Haqqani.” The other two are Nabi’s brother-in-law, Malim Jan, and Gul Majid. The three worked under still another Taliban commander, Zakim Khan. Malim Jan was nicknamed the “Butcher of Khowst” for his reported role in murdering 300 people there. 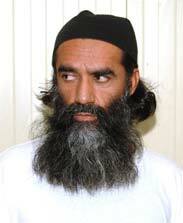 Jan was a sub-commander under Haqqani and the head of a “Secret Police” unit. Intelligence reports cited by JTF-GTMO indicate that Malim Jan, Gul Majid, and Zakim Khan were all still active in the insurgency in Afghanistan as of late 2007. Then, in July 2002, an “Afghan government employee” reported that Nabi had joined “a new Khowst province ACM cell comprised of Taliban and al Qaeda commanders who had operated independently in the past.” The list of cell members provided by this source included not only Taliban and al Qaeda leaders, but also individuals affiliated with the HIG and the Haqqani Network. The JTF-GTMO file includes an intriguing detail about one member of Nabi’s cell – a Haqqani money courier named Malik Khan. “Ayman al Zawahiri, the number two leader of al Qaeda” at the time, and now al Qaeda’s emir, “has stayed at Khan’s compound located outside Miram Shah,” Pakistan. 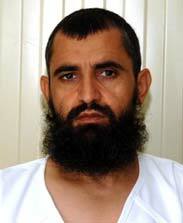 Nabi was captured in September 2002, detained at Bagram, and then transferred to Guantanamo. It was the end, temporarily at least, to a career that started in the 1980s when Nabi first fought as a mujahideen against the Soviets. Great news that Bowe is free and Taliban prisoners exchanged, happy for all families. Very grateful to those who listened and helped with communicating messages, a good day for dialogue, compassion and common sense… lets hope we can work on further prisoner releases! Oof, that’s a high price to pay but I’m not going to flame away at a family for wanting their son back. Am I totally in the realm of sci-fi to hope we placed tracking devices somewhere under these guys skin for future demolishon? Freeing these terrorists in exchange for SGT. Bergdahl is a travesty of justice and an insult to the American warfighters still on the battlefield. This exchange could have been done anytime in the last 1-2 years. It was done at this time for Obama’s convenience. He needed a diversion for the VA scandal and he sent Kerry to seal the deal. The media will buy it and the VA will slide off the radar. It’s good Bergdahl is coming home, but questions need to be answered on how he was picked up by the Talibs, and why he was not with his team. How many lives will Bergdahl take? How many friends and family of American soldiers will cry? One can live so many can die. The depth to which this regime will burrow knows no bounds! My crude understanding was that Bergdahl was AWOL… with some of his fellow soldiers implicating him in some hair-brained attempt to score some hash. As for the Gitmo Five, I strongly suspect that the President would’ve coughed them up just to boot-strap the peace imagery. Benghazigate may loom very large in the calculus. We’re still being sold the narrative that the Afghan conflict is essentially over. Certainly the President wants it on the back burner during this Fall’s elections. And, the President wants to shut down Gitmo, too. Near as I can tell, the Taliban have already gotten 98% of what they want before they’ve even reached the table. It must be obvious that every NGO and contractor is going to be racing for the exits PDQ. Each of these players would have at least flag rank in jihadi circles. As for negotiating tactics: sheesh! Apparently Bergdahl was not really a heroic prisoner. Apparently he voluntarily gave up to the Taliban. Some good American soldiers (does anyone know any of their names?) were killed trying to locate him. Was he worth the Gitmo exchange? A life sentence in Leavenworth might be more appropriate. He comes out of this smelling like roses. I am happy for Bowe Bergdahl’s parents that they’re getting their son back. And I am glad that we are not leaving Afghanistan with this matter unresolved. It was a high price to pay, and Sgt Bergdahl, as far as we know to this point, is no hero. But I am glad we got him back. But now, when these terrorists and murderers return to jihad, let them become targets, only not for capture this time. It is my understanding that Sgt Bowe Bergdahl walked off base, (without his gear). As such, he is a deserter and is no hero American POW. To exchange these high-level Taliban commanders, whom 2 are wanted for war crimes, and all who have worked closely with Al Qaeda is disgraceful. There is no doubt they will be back at their previous occupation of slaughtering and killing innocent people, and very possibly assisting in the killing of American service members, 9,800 which will remain in Afghanistan until the end of 2016. This ties a nice red bow on the Obama announcement that the “war” in Afghanistan is now successfully completed. Absolute, 100% rubbish and in my opinion we have accomplished little to nothing after 9-11. The Taliban will control the country well before 2020. I’m no fan of Barak Obama, but Israel makes exchanges like this all the time, most recently with Gilad Shalit: many top Hamas men for one Israeli soldier. Nobody on the American right complains a bit. If Netanyahu can do it, Obama can do it. “if Netanyahu can do it, Obama can do it” Seriously, Did you vote in the Israeli or USA elections? maybe both? Why do you think that hezbollah/fatah/hamas are always trying to capture jews? Think about it, and give everyone your insight. Brian L, so is Benjamin Netanyahu the President of the United States? What in God’s name does this disgraceful act have to do with whatever the Israeli’s do?? Good men have lost their lives trying to find Pvt. Bergdahi. It will be interesting to watch and see if he is charged with desertion. My bet, knowing this administration, I’d wager- no way. Carol Anne Grayson of the progressive London Journal says Bergdahl’s release is good news. He deserted and went looking for the Taliban. Now we have him back and he won’t be prosecuted. That is good news? Brian L, Israel makes exchanges all the time. The exchange rate is hundreds or thousands to 1. It is actually a defeat. I was happy (as much as I could be) that the exchange rate was only 5 to 1. It would have been much better if it had been 1 to 1 and we had prosecuted instead of promoting Bergdahl. As someone else said I hope the releasees are killed on the battlefield shortly rather than recaptured. America will not be safe because the five killers are set free. Sgt Berqdahl belongs in prison. I remember being on the operations floor as a young intel soldier when the whole Berghdal affair first happened. We all thought that Berghdal was a complete scumbag. Ah well, I guess Operation Unkempt Barber is a success…of sorts. I think the Israeli government actually did get a lot of flack for that. I thought it was a dumb move personally, but there’s another crucial difference. AFAIK Gilad Shalit is an honorable soldier. Him getting taken was just bad luck on his part. Bergdahl is an incompetent idiot at best, and a deserter or even wannabe traitor at worst. If Bergdahl had a great reputation among his platoon mates (he doesn’t! ), then people would probably be more forgiving of the deal than they are. Certainly lives were lost in American effort to recover a low level officer Sgt. Bergdhal, but countless more American lives were sacrificed in the operations to capture these 5 high level enemy operatives, and President Obama has the gall/stupidity to hand them over and put them back in play to potentially wreak havoc on the world again? You have go to be kidding. Is this not an impeachable offense? Is this president mentally handicapped. You typically negotiate to win. Not in this case. To use a sport metaphor, this would be similar to trading 5 top front office executives/players for a minor leaguer. In the real world this is not done, and if it is you are fired on the spot. But not with this idiot president. I have absolutely no understanding of how anyone in this administration would sign off on this. This is a disgrace. Sleep well Obama. You just put 5 of our most hated enemies back on the playing field. I don’t like Bergdahl either, but to be fair 5 years in captivity with the Taliban is a LOT worse than 5 years in a military brig. He certainly shouldn’t be celebrated or get a parade, but as far as punishment goes, there’s nothing we can do to him that’d be half as bad as what he’s already gone through. So he’s suffered enough. Maybe integral personalities for the Taliban’s new government? In his public relations campaign to appear as the great peacemaker, Obama has demoralized our military by effectively trivializing the lost lives, injuries, and sacrifices which brought about the incarceration of these hard-core vicious prisoners. Taliban do not value peacemaking; peacemaking is perceived as submission and failure. American voters placed authority into the hands of a commander-in-chief who is so weak in character, and so needy of admiration, that he cannot accurately perceive what threatens our country. When image-making is more important than reality, when lies dominate over disclosure, our leadership chooses to jeopardize American lives across the globe. Thank you Bill Roggio for your work here. Bergdahl’s captivity was so bad, that he refused water and food. What an effing idiot. What is strange here is why we traded taliban people to the Haqqani Network who held this guy. The Haqqani Network are criminal organization that wanted money for the guy a few years ago. They had no use for these taliban commanders other than maybe having them back on the field of battle to create even more chaos by which the Haqqani’s thrive in. But still, money rules with them not the taliban. The fact is this is not really about getting Bergdahl home, rather it’s about getting these Taliban monsters home instead. The fact he was known to have deserted, seemed to sympathize with the enemy and was most likely reluctant to leave make me think it is win-win for the savages. They get their best throat slitters back, even more belligerent and anti American, they get Bergdahl working the PR angle once he gets air time and all of it makes America look foolish and gullible. Obama wanted them home and used the Bergdahl situation to instigate a swap. It had nothing to do with concern for the American and everything to do with emptying Gitmo.